Kyoto is famous for its world-class restaurants - French, Italian, and traditional Japanese. Among Japanese restaurants, Ryotei are considered the highest rank. While we can help you arrange meals at any restaurant, here is a list of recommended Japanese ryotei establishments. 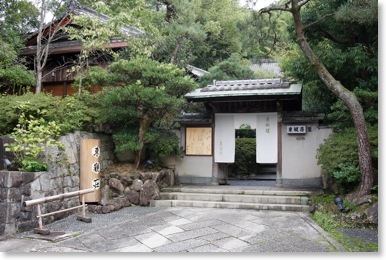 “Ryotei” restaurants were historically only accessible by the elite and wealthy. They are usually stand alone buildings that feature traditional Japanese kaiseki cuisine and often have a private garden. Some also offer accommodation. 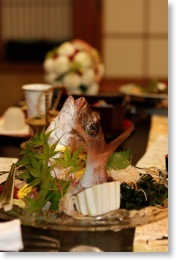 Ryotei are seen as the epitome of Japanese cuisine and hospitality. 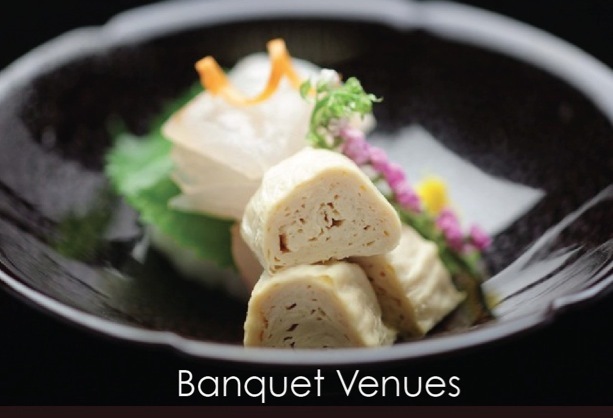 Kyoto is known for its kyo-kaiseki, a variation on traditional Japanese cuisine that emphasizes local Kyoto ingredients such as tofu, fu and vegetables. 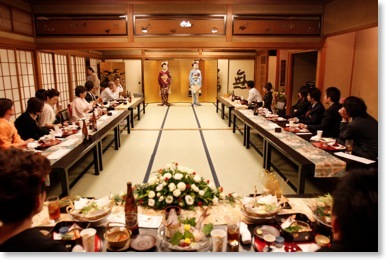 Ryotei are popular for “jinzen-shiki” weddings, or civil ceremonies. This usually involves the bridal couple sitting at the bridal table while a host leads the proceedings. There is no wedding officiant in Japan, as the ceremony is not legally binding. The ceremony is very flexible but usually involves the couple announcing their marriage in front of witnesses (the guests). This may take place at lunch or dinner. Here are some ryotei affiliated with Kyoto Weddings. Please contact us for more options. 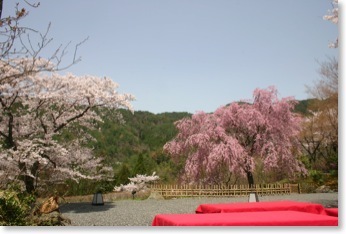 Shozan-kaku is located in a beautiful secluded area by the mountains. There is a strolling garden that leads to the main building, and the dining room looks across the mountains towards Arashiyama. The restaurant is also famous for its yuba (tofu skin) factory, which makes fresh yuba for its kitchen and others in Kyoto. English interpreter needed. 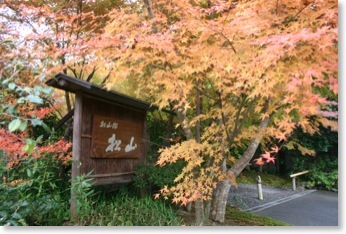 Tonkan-so is located in eastern Kyoto, minutes from Yasaka shrine and right by the northern border of Maruyama park. The area is very secluded and picturesque, surrounded by greenery of the eastern hills. 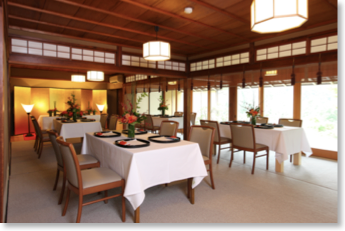 The restaurant features a private gate and traditional dining rooms where maiko from the nearby Gion district perform. English interpreter needed.